The Paige Weatherspoon Foundation is excited to announce that Professor Michael P Jennings from the School of Molecular and Microbial Sciences, University of Queensland will be managing the Paige Weatherspoon Foundation Scholarship. 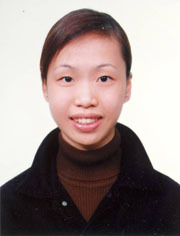 Professor Jennings has selected an ideal candidate, student Freda Jen to undertake the scholarship. Freda will be responsible for the on going research into the transmission and pathogenesis of Neisseria meningitidis while recording and presenting her results to the International Pathogenic Neisseria meeting in Queensland. Freda received first class honours from the QLD University last year. She will finish her thesis in 2008. The Paige Weatherspoon foundation would like to thank Jenny Francis for her excellent work in liasing with Professor Jennings to make the scholarship possible. For more information on the scholarship, please contact the foundation.